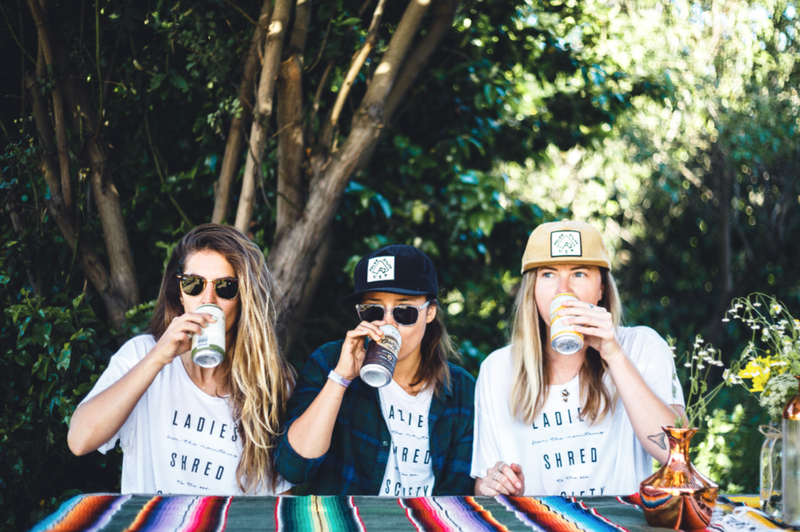 For the second year in a row, Ladies Shred Society hosted its three-day event that kicked off in Southern California and combined snowboarding, camping, surfing, yoga and more. "The idea came from attending several women's ride days and feeling a sense of exclusivity. There was a heavier focus on brand integration rather than of empowerment and encouragement. We wanted to do something different," said Michaela Eichenbaum, co-founder of Ladies Shred Society. "Giulia and I both feel passionately about empowering and bringing together women of all abilities, shapes, sizes, and backgrounds."